Just Short of Magic is recognized for creativity, innovation, courage and entrepreneurialism. In our first year of operation, we were awarded the 2014 Jim and Mary Binkley Award by the Fairbanks Convention and Visitors Bureau for introducing a new attraction for the benefit and enjoyment of visitors to Fairbanks! Our guests have overwhelmingly recommended their positive experiences to others. Just Short of Magic rapidly became one of the most popular visitor attractions in the Fairbanks area. Trip Advisor has awarded us their Certficate of Excellence on visitors excellent reviews of our Dog Sled Rides, Alaskan Dog Mushing School and stays in our Yurt B&B. To share our love and knowledge of sled dogs and mushing with guests and students who have come to Just Short of Magic for an experience of a lifetime. To share the joy and the thrill of hooking up a dog team and then gliding down a wintery wonderland trail behind a team of enthusiastic, hard working dogs who love to do what they do. To offer guests an opportunity to have a personal, one-on-one, and hands-on practical mushing experience. Eleanor K. Wirts is thrilled to share the joys of sled dogs and the gloriousness of the Alaska interior with guests at Just Short of Magic. 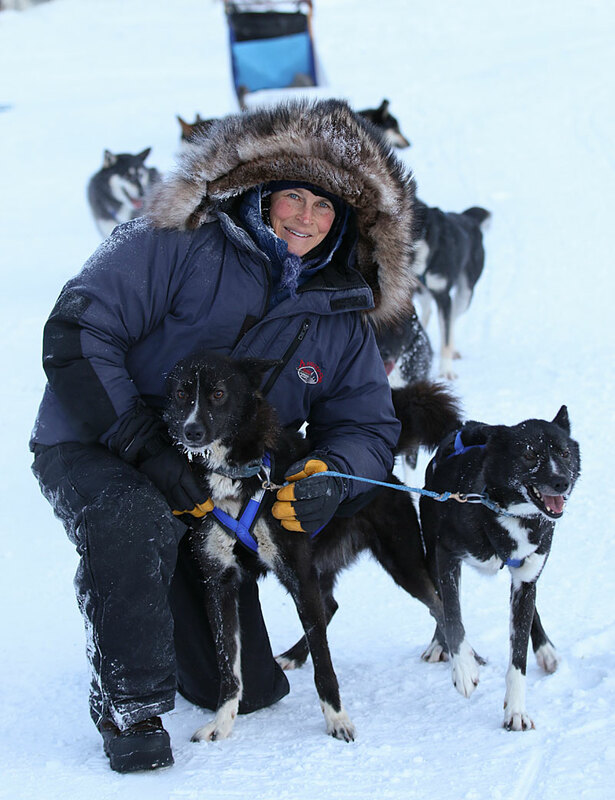 As a long time educator, equestrian, and dog musher Eleanor has a history of combining the joy of teaching with her love for dressage horses and sled dogs. With a degree in Animal Science from the University of Vermont combined with a degree in Equestrian Studies from Westmoreland Davis Equestrian Institute in Virginia, she taught high school science and coached the equestrian team at a fine private boarding school in New England. Prior years as a riding camp instructor, while also teaching riding lessons at her own business, provided the backdrop for the later equestrian coach position. As a teaching assistant during her undergraduate degree, Eleanor discovered the thrill of teaching and went on to get a Masters in Secondary Education with an emphasis in biology. With an academic degree now in hand, the combined interests and practical experience were a perfect combination for the roles she played as teacher and coach. 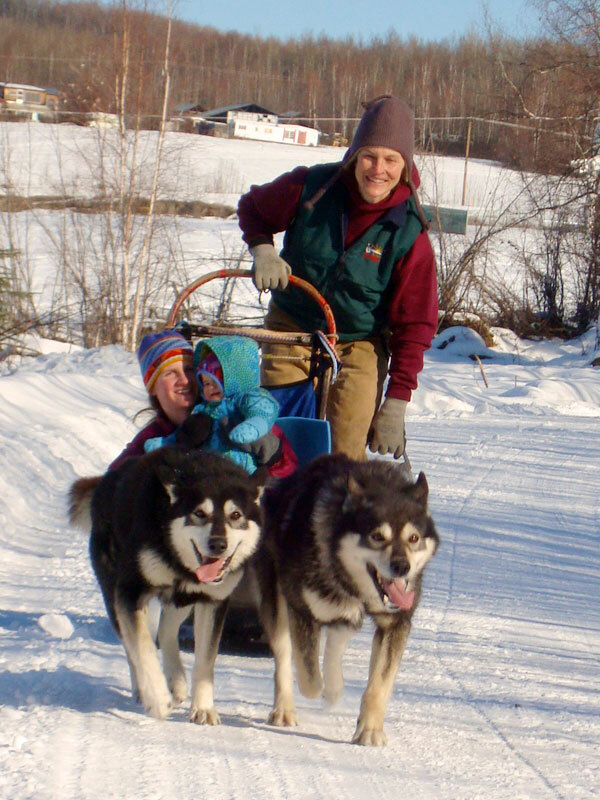 Eleanor started running sled dogs in Vermont in the mid 1990s and soon fell head over heals in love with dog mushing, the thrill of driving a team, and the joy of raising and training puppies. Within a year she was the proud owner of twelve sled dogs, all of whom she had either raised and trained as pups or collected from the animal shelter. One winter of racing made it clear to Eleanor that recreational mushing was more naturally her style; she also longed for bigger open spaces and a world where dog mushing was king. 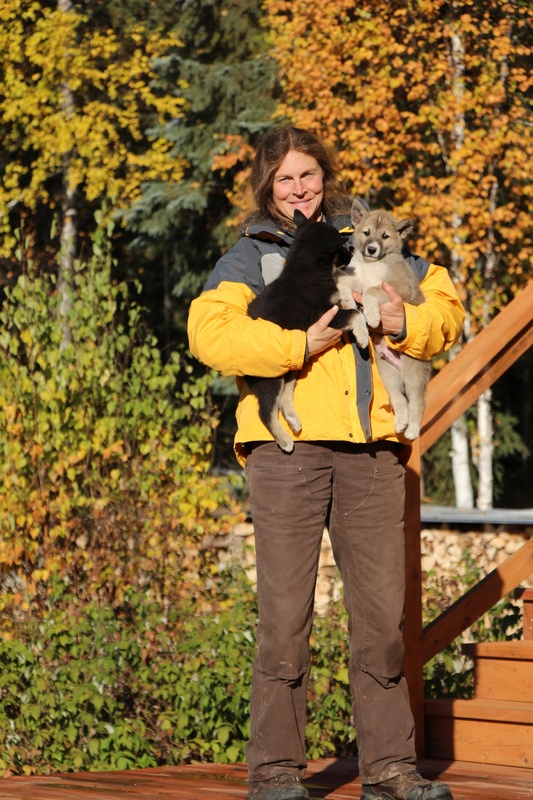 She came to Alaska in the spring of 2003 to work as a musher on the glaciers in Southeast, Alaska. A summer camp of 200 Alaskan huskies and a dozen mushers and handlers guided tourists around the glaciers in the basket of a dog sled. It was the time of their lives. She went on to teach high school science in a small rural Eskimo village on the Bering Sea. This time she was able to combine the rewards of teaching with the thrill of having a dog team in the wilds of Alaska. Running sled dogs on the tundra and sea ice, she found those bigger open spaces she was looking for. She fished throughout the summers to put up dried fish for winter dog food; she also butchered seals and caribou for winter dog meat and fat. Raising and training puppies continued to be a favorite pasttime while adding valued members to her team. Some of these pups are now the core members of her Just Short of Magic sled dog crew. The summer of 2007 was spent guiding sled dog tours on the glaciers in Southeast, again followed by a move in September to the interior where she attended graduate school at the University of Alaska Fairbanks. Her years in a small Eskimo village had enticed her to pursue a Master of Arts in Northern Studies with a concentration in Anthropology and Alaska Native Studies. After a year of living in a dry cabin in Fairbanks, she discovered the joy of yurts and soon bought her own, where she lived off the grid for four years. Living with kerosene lanterns and a headlamp in the winter, hauling water year-round, and keeping her wood supply full was a full- time job, never mind being a full time student. Throughout these years she maintained a large kennel, always running and training sled dogs. Once in a while she will enter a local race just to mix things up, but she continues to find the joy of mushing “just for the magic” of it. Just Short of Magic became a vision during the summer of 2012 when Eleanor knew she wanted a change from her life in academia (upon graduating with her M.A, she has since been pursuing an Interdisciplinary PhD, also in Alaska Native Studies). Her love of being out of doors, working with sled dogs, and her joy of teaching and sharing what she loves with others easily became the inspiration for the start of her own business. She is looking forward to your visit and hopes to share with you the thrill of running a dog team while also teaching you about the many fine points of what it means to run sled dogs.